Dr. Phoha’s research interests are in computational sciences that enable dependable distributed automation of multiple interacting devices over ad hoc and long haul networks. She has forged new research directions in computational sciences to enable dependable distributed automation of multiple interacting devices. She has developed real-time data driven sensor fusion and self-organization algorithms for secure wireless sensor networks for target tracking and for autonomous ocean sampling robotic networks. She has held senior technical and management positions in academia, government, and industry. For two years, she was the Director of a premier national laboratory, the Information Technology Laboratory (ITL) of the National Institute of Standards and Technology (NIST), which conducts research in Mathematical Sciences, Computer Security, Software, Advanced Networking, Information Access, and Statistical Engineering. Since 1991, she has held the dual titles of Professor of Electrical Engineering at the Pennsylvania State University and the Director of the Division of Information Sciences and Technology at its Applied Research Laboratory. Prior to that, she was the Director of C4I and Systems Analysis Division of the Computer Sciences Corporation where she led the development of the Global Transportation Network for DoD. 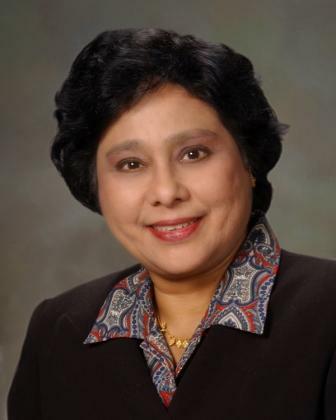 She was awarded the 2004 Technical Achievement Award by the IEEE Computer Society. She has authored over 200 research papers, three books, and holds three patents. Chair, Springer-Verlag Tech. Advisory Board for The Dictionary of Internet Security, 2001-02. Panelist on the National Information Infrastructure Standards Panel (ANSI), 1995 to 2000. Editor, International Journal of Distributed Sensor Networks, 2004 to date. Keynote Speaker at 20+ Conferences and Symposia. 1987 Honoree for the Tribute to Women in Industry Award. Statistical Learning in Information Networks. Fusion Driven Adaptive Sensor Networks. The Pennsylvania State University, University Park, PA, June 1991 to date. Director of Information Sciences & Technology Division, ARL/Penn State, August 1997 to date. Bucknell University, Lewisburg PA, 1976 – 1978, Assistant Professor. Tulane University, New Orleans, LA,1975 – July 1976, Assistant Professor. The Computer Sciences Corporation, Falls Church, VA, January 1990 to June 1991 Director of Systems Analysis Division. Technical leader of a major R&D program, US TRANSCOM Global Transportation Network Architecture. Lead Engineer of High Tech R&D ARMY program, brought together an industry/university team to win the $80M/5 year research program. PI of advanced research proposals, e.g. DARPA proposal in Knowledge Based Planning. ITT Defense Communications Division, Nutley, NJ, November 1984 to December 1989. Senior Scientist and Manager of C2 Systems Department. Project Engineer for a major R&D program in telecommunications for developing survivable, adaptable, secure communications. Directed a group of senior systems and software engineers to develop a state-of-the-art laboratory. Chief Engineer for the $500M proposal for the Dept. of State Telecommunications Network. The MITRE Corporation, Bedford, MA, June 1978 to November 1984. Developed global and local area network architectures for information systems, including the World Wide Military Command and Control Information System (WIS), the Joint Tactical Information Distribution System, and the communications systems architecture implemented at the NORAD Cheyenne Mountain Complex. Ph.D., Michigan State University, 1976. M.S., Operations Research, College of Engineering, Cornell University, 1973. M.A., Mathematics, Punjab University, Chandigarh, India, 1968. President of the International Test and Evaluation Association, New England Chapter, 1981-1985. Chaired the Springer-Verlag Techinical Advisory Board for the Dictionary of Internet Security (Published May 2002). Member, Tiger Team for developing the Nanomanufacturing S&T User Facility at NIST. Member of Tiger Teams for technology standardization at ITT, 1987.